Robberies in Wrigleyville and Boystown are off to a very slow start in 2015, with only 16 cases reported in the first quarter. That is the third-lowest Q1 number since 2001, the first year for which Chicago crime data is available to the public. Street robberies became one of the most glaring signs of trouble as violent crime climbed here between 2010 and 2013. Three consecutive years of record-high robbery rates were logged in Wrigleyville and Boystown during 2011, 2012, and 2013. Under intense community pressure, local police leadership reassessed strategies and beefed up overnight staffing levels. Robberies plunged 34% last year, reaching their lowest levels since 2007.
increases have been seen elsewhere. This year's greatest improvement has been on beat 1923, which stretches from Addison to Irving and Southport to Halsted. There, robberies dropped from seven in 2014 to just two this year. While the year is off to a good start in Wrigleyville and Boystown, other areas of the 19th district have not been so lucky. Six of the district's 15 police beats have seen increases in robberies year-over-year. The northwest section of the district—beats 1911, 1912, and 1913—has seen muggings increase from 9 to 15. The far west and southwest reaches of the district also saw increases. 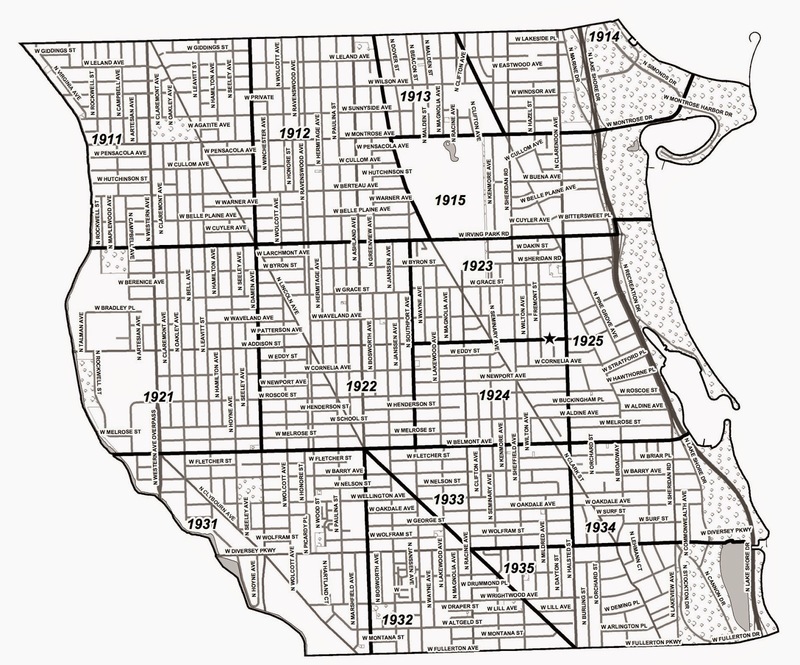 For statistical purposes, CWB considers the area covered by current police beats 1923, 1924, and 1925 to be "Wrigleyville and Boystown."